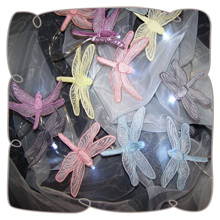 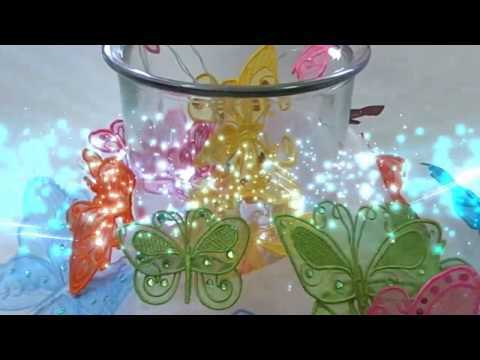 Create this delicate organza creatures to embellish any garment. 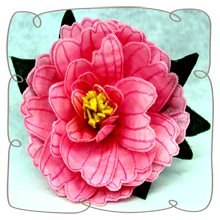 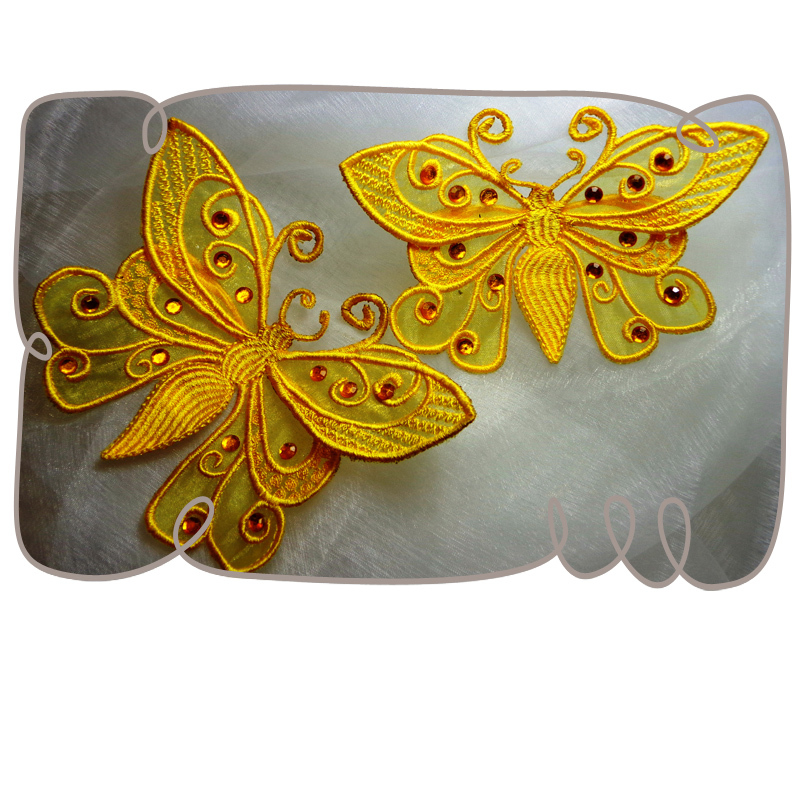 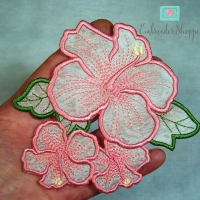 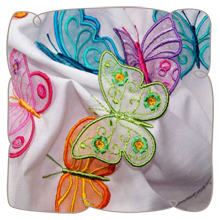 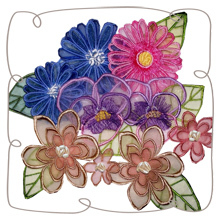 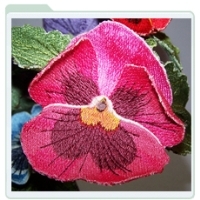 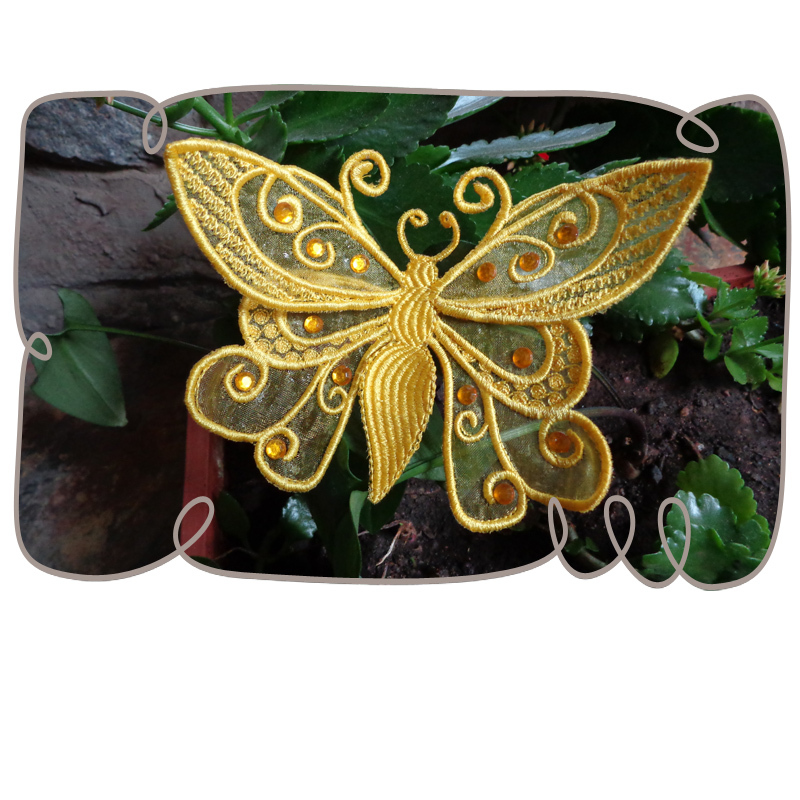 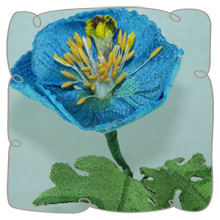 3D organza applique embroidery. 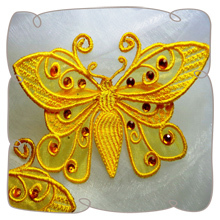 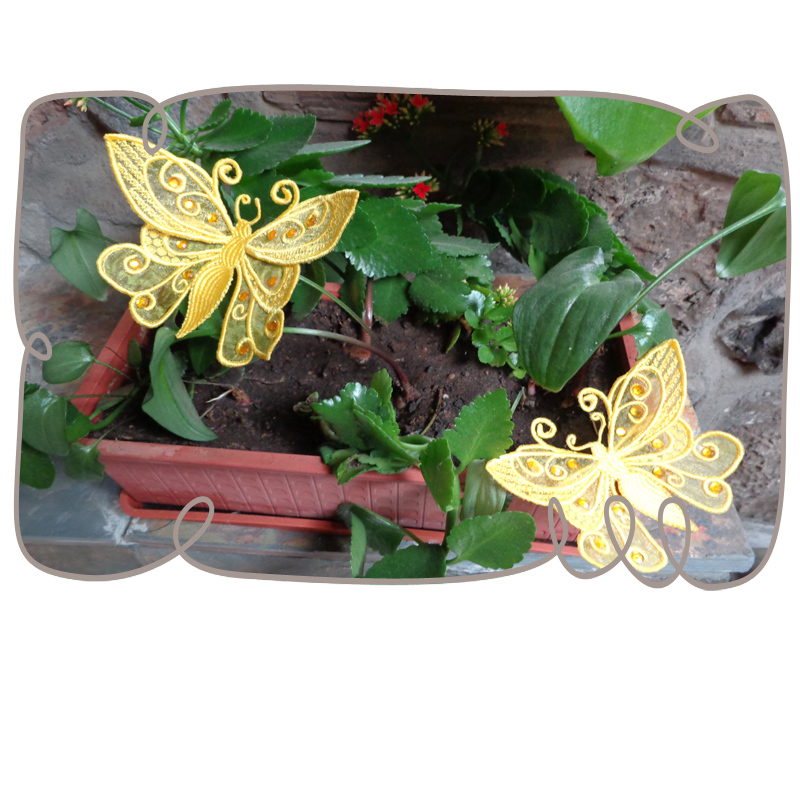 All you will need is organza, water soluble stabilizer, threads and rhinestones, beads or sequins to embellish your bumble bee wings. 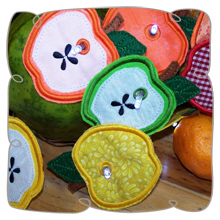 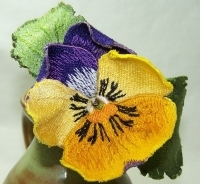 Glue the bumble bee onto a brooch pin and place it on a hat, tieback or curtains. 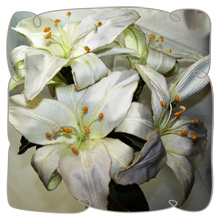 Medium Bumble Bee is 5.85" x 3.86"
Large Bumble Bee is 6.72" x 4.57"